For those wishing to book an event of any size or play a specific golf course in the San Diego area, I can give you specific, detailed information on where to go based upon price, quality of the conditions, food service, and location. In addition, I can book the event, usually at a lower cost than is generally available. Finally, if needed, I can do all tournament setup and administration for your outing or event. 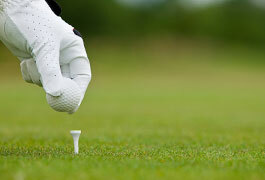 I am one of the most experienced event and golf tournament organizers in San Diego. I look forward to working with you on your next event. Click here for an event or golf tournament organizer to set up your outing. I have 25 years of experience administrating multiple tournaments per year, including an NCAA National Championship. + Find the perfect course to fit the needs of your group. + Work out all details, including: scorecards and scoreboards, awards, long drive, closest to the pin, food and beverage services. + Fundraise through entry fees, raffles, auctions, and donations. + Reward loyal clients and/or employees with an annual bash. + Remove the burden from your staff member ill-equipped to perform this task. + Avoid glitches or problems that could create ill will. + Enjoy your day, cement friendships, and let someone else do the work.